Precision stamped zinc plated proportioning valve mounting bracket. This valve mounting bracket allows you to mount most aftermarket proportioning valves underneath your master cylinder using 2 master cylinder studs. Precision stamped zinc plated proportioning valve mounting bracket. 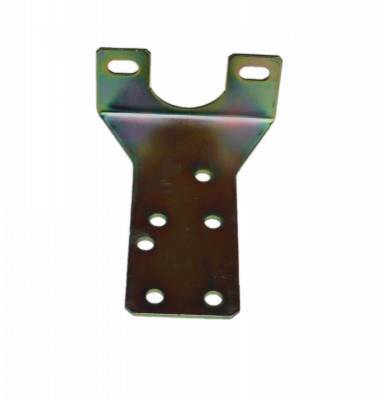 This replacement valve bracket allows you to mount most aftermarket proportioning valves underneith your master cylinder using 2 master cylinder studs.